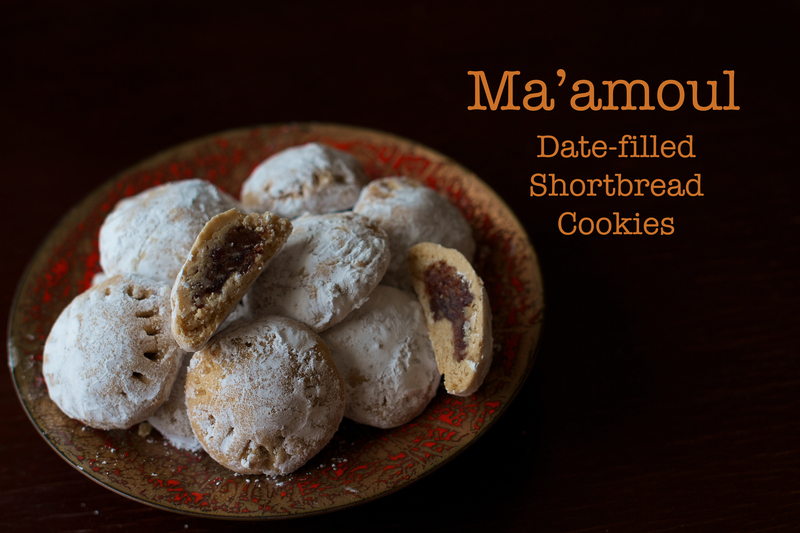 Ma’amoul are small shortbread cookies traditionally filled with dates, pistachios or walnuts and the dough is flavored with orange blossom or rose water. They are popular in Levantine cuisine (Palestine, Jordan, Syria and Lebanon). 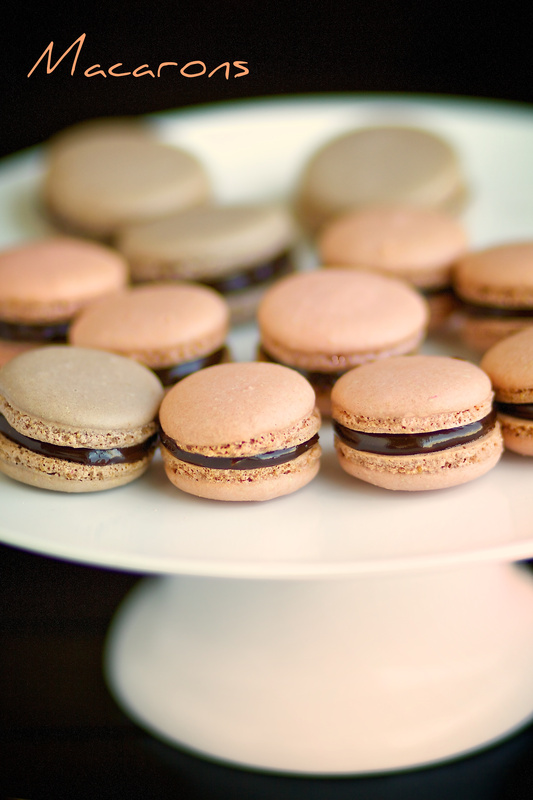 These are so delicious, the whole thing melts in your mouth with great textures and flavors. One thing I know for sure about Maamoul, you can never stop at just one! 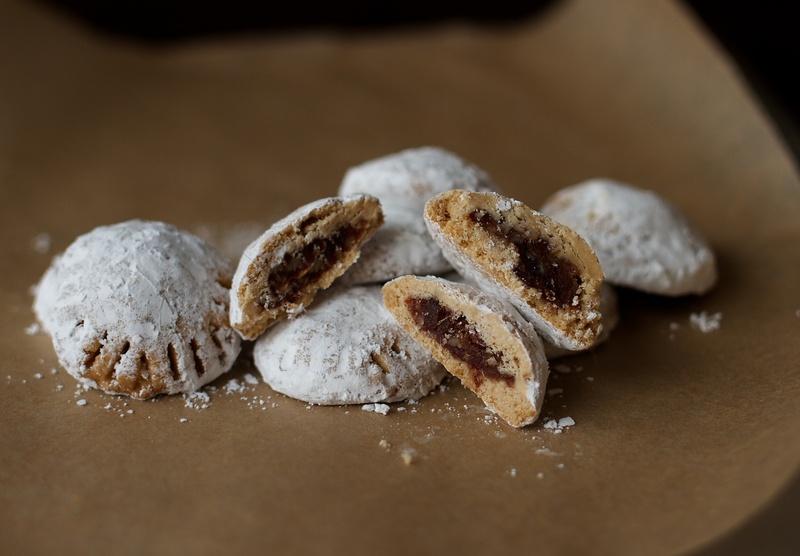 When you buy Maamoul in Middle Easter markets, they are usually decorated with a kind of pastry pincer to make an attractive pattern. Presumably this is to hold the confectioner’s sugar they are sprinkled. I find that pricking the tops with fork in a regular pattern accomplishes the same thing. Set the oven racks in the upper and lower thirds of the oven and preheat to 350 degrees. For the Filling: Put the dates and water in a medium saucepan over low heat. Bring to a simmer, stirring occasionally and reduce, stirring often until the consistency is thick and jam-like. Spread the filling out on a plate and combine the chopped nuts and cardamom. For the Dough: In a bowl or a food processor fitted with steel blade, place the flour and butter and pulse about a dozen times or until it’s finely mixed in. Take the cover off the machine and put the rose water and milk. Pulse again until the dough just forms a ball. Scrape the dough onto a floured surface, then press it together and roll it into a cylinder 15 inches long. Slice the dough every 1/2 inch to make 30 pieces of dough. To form, roll a piece of dough into a sphere then insert an index finger into the sphere to make a hole. Use your thumbs to enlarge the hole so that the dough becomes a little cup. Fill with a spoonful of the filling then close the dough around the filling. Place each cookie seam side on a parchment lined cookie sheet. After all the cookies have been formed , press each gently to flatten it and use a fork to pierce the surface in a decorative design. Bake the cookies for about 20 to 25 minutes, making sure they remain very white. They should take on no color at all. 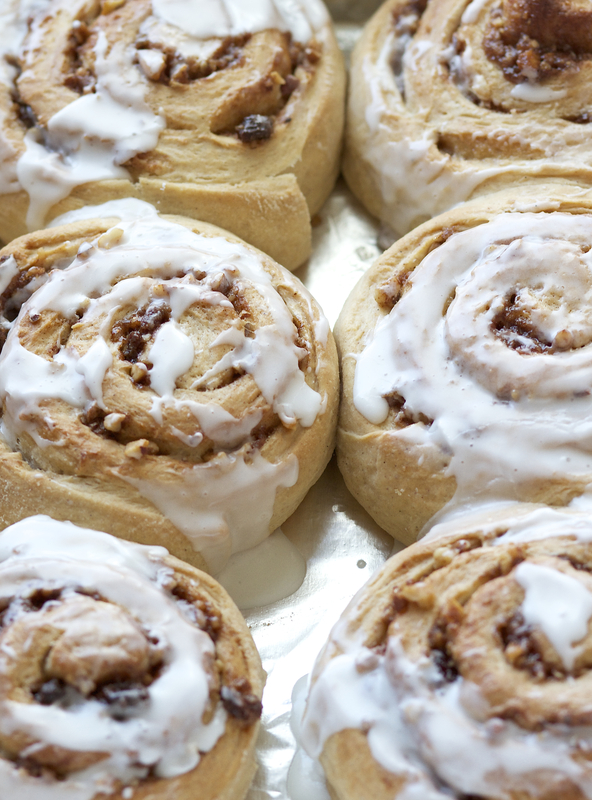 Cool on the pans on racks. 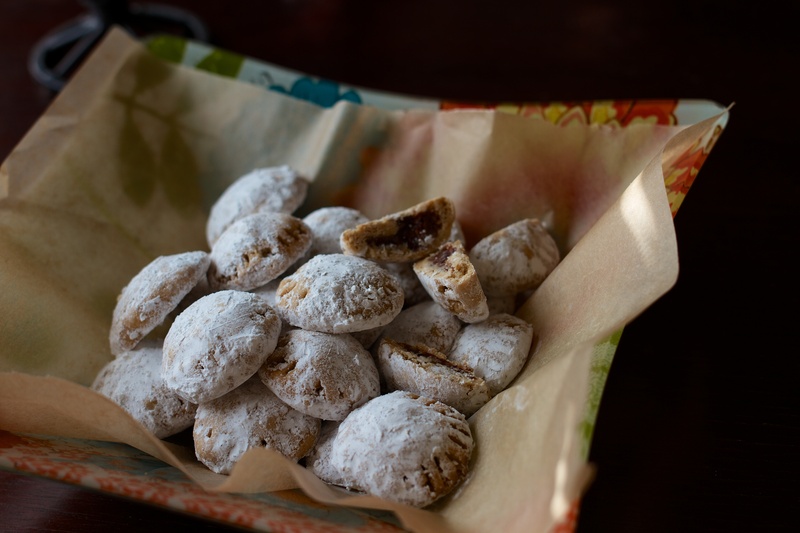 Dust heavily with confectioners’ sugar just before serving. Store the cooled cookies between sheets of parchment paper in a tin or plastic container with a tight fitting lid. Semolina soaked in syrup are very popular all over Middle East. Moist cakes are my favorites and this recipe I adapted from the cookbook (Jerusalem) did not disappoint. 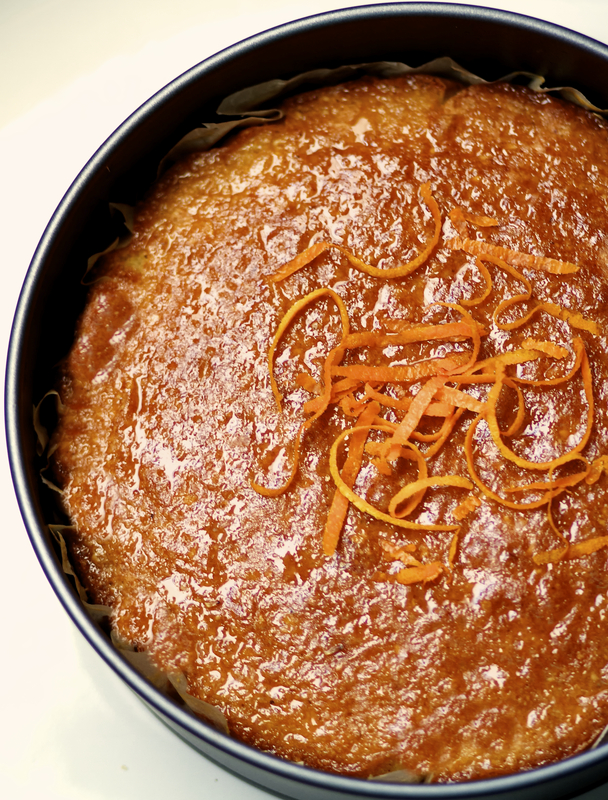 This Semolina and Coconut and Orange Marmalade Cake, is moist, light textured and aromatic. To serve: greek yogurt with one or two drops orange blossom water (Note: I have found that different brands of orange blossom water are stronger than others so add only a bit, taste and add more if you wish). 2. Divide batter between two 1 L loaf pans (or one large loaf pan) that has been greased and lined with waxed paper. 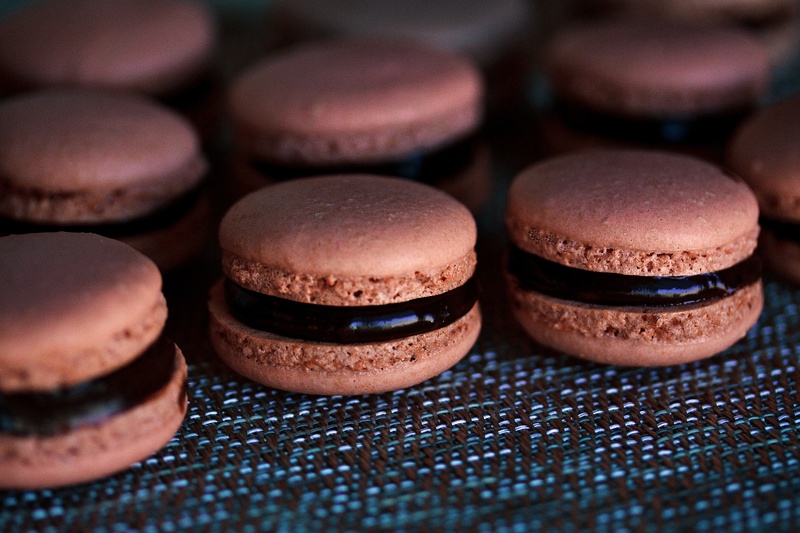 Bake in a preheated 350F oven for 45 to 60 minutes for small cakes or 60 to 75 minutes for larger one or until a meat thermometer inserted into the middle of the cake reads 185F. Yesterday, I picked a huge bag of oranges, tangelos and clementines in a nearby farm. 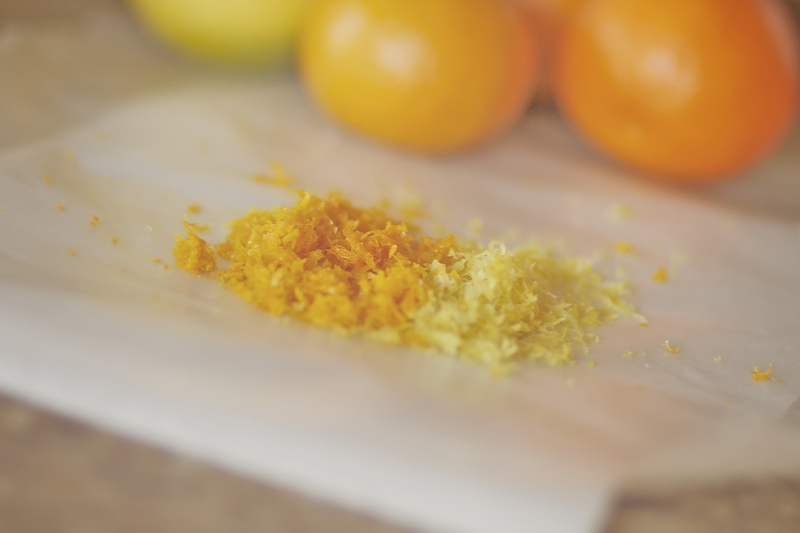 This morning I juiced the oranges, ate the tangelos and thought about baking a cake with clementiine. 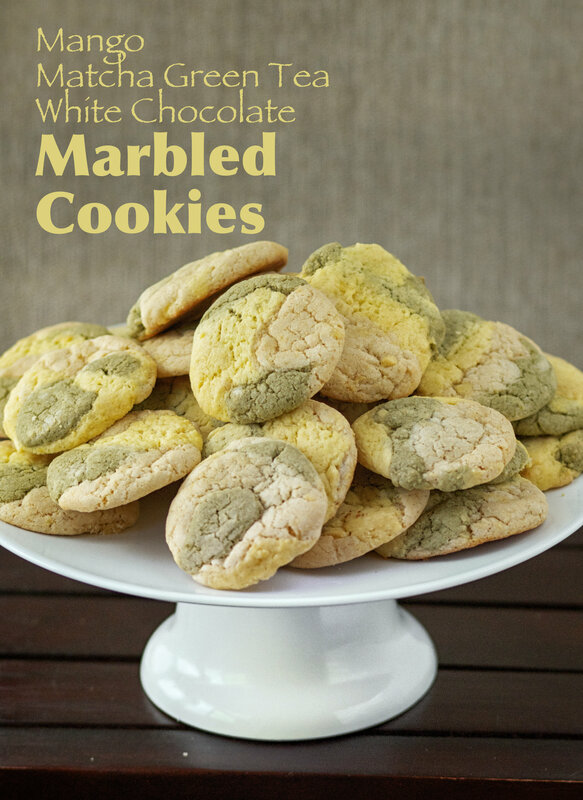 Glad I did, using this wonderful recipe from my new cookbook. 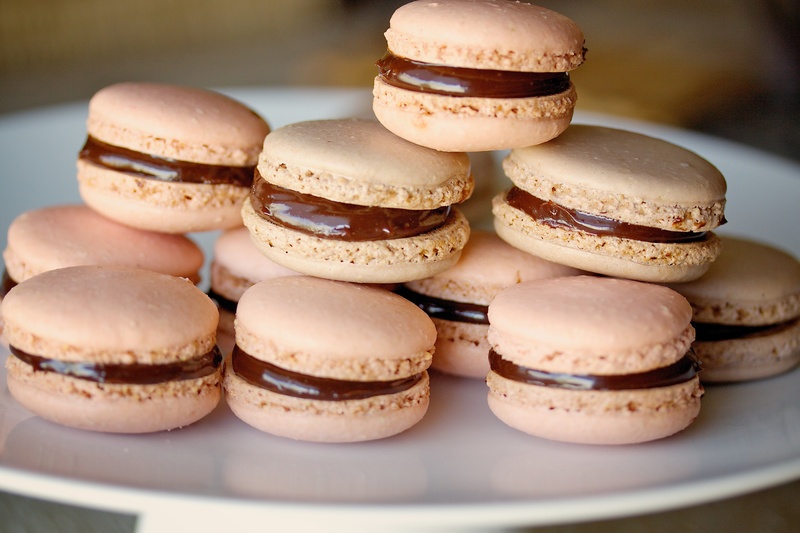 It tastes amazing!. 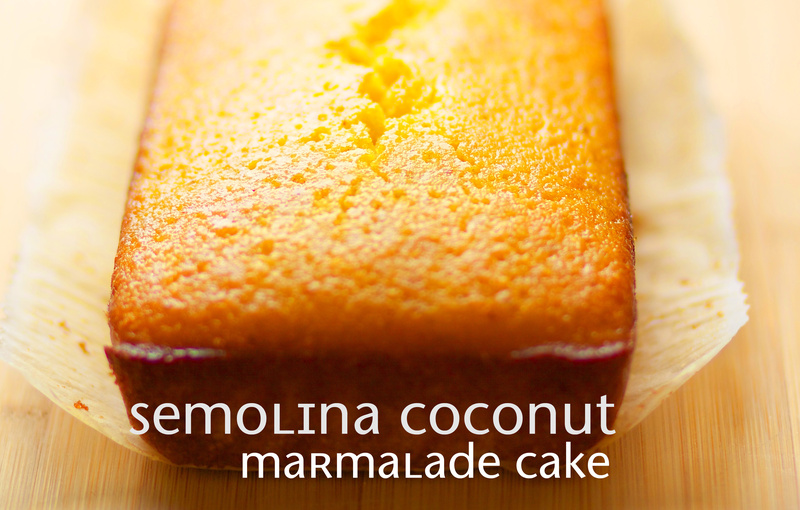 I like how this cake bursts with flavor, it’s comforting and relaxing. 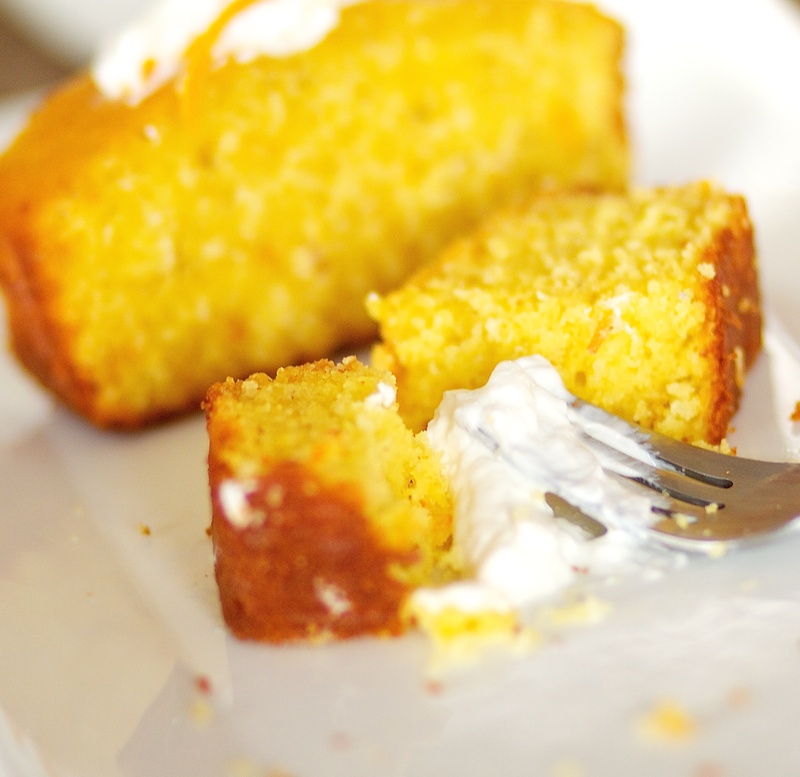 The ground almonds makes this cake very memorable and it gets moistened further with clementine and lemon syrup. I did not glaze it with chocolate, it’s certainly good on its own. 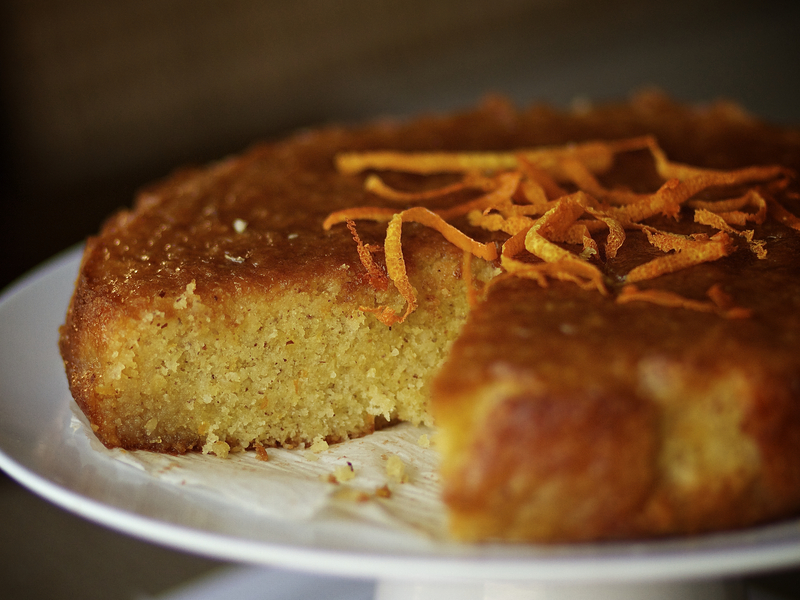 I will never stop singing the praises of this Clementine and Almond Syrup Cake. I’ve told you before and I’ll tell you again: It’s so darn amazing! Try it! Preheat the oven to 350F/180C. Lightly grease a 9 inch/24cm springform pan with butter and line the sides and bottom with parchment paper. Place the butter, 1 1/2 cups/300g of the sugar, and both zests in the stand mixer fitted with the beaten attachment and beat on low speed to combine everything well. Do not work the mixture too much or incorporate too much air. Add half the ground almonds and continue mixing until combined. Pour the cake batter into the pan and level it with an offse spatula. Bake the cake for 50 to 60 minutes. Check to see if it is ready by inserting a skewer into the center. It should come out a little bit moist. 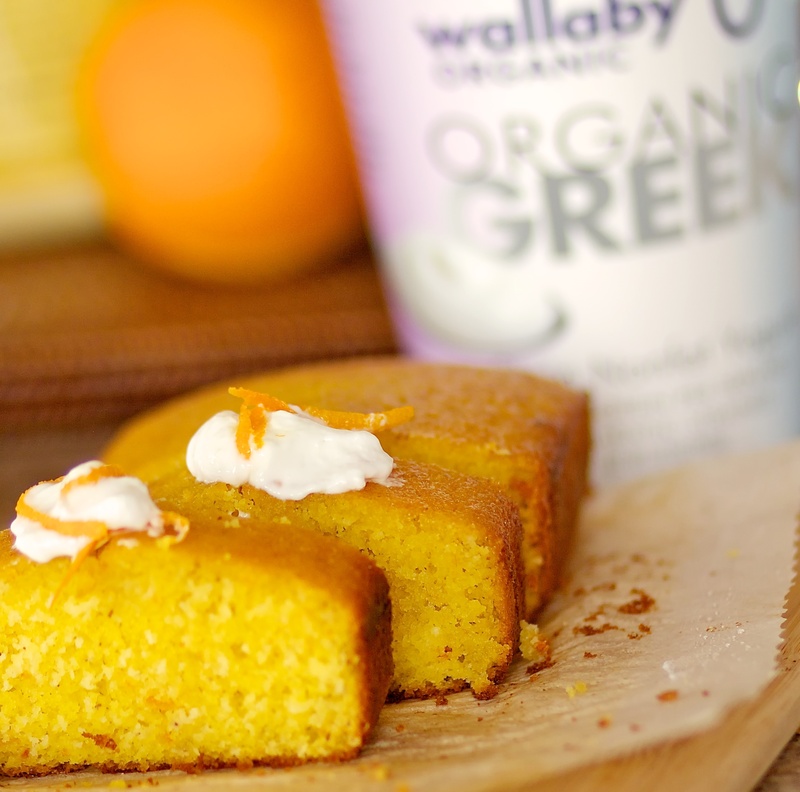 When the cake is almost done, place the remaining 1/3 cup/80g sugar and the citrus juices in a small saucepan and bring to a boil (the juices should total about 1/2 cup/120 ml). When the syrup boils, remove it from the heat. 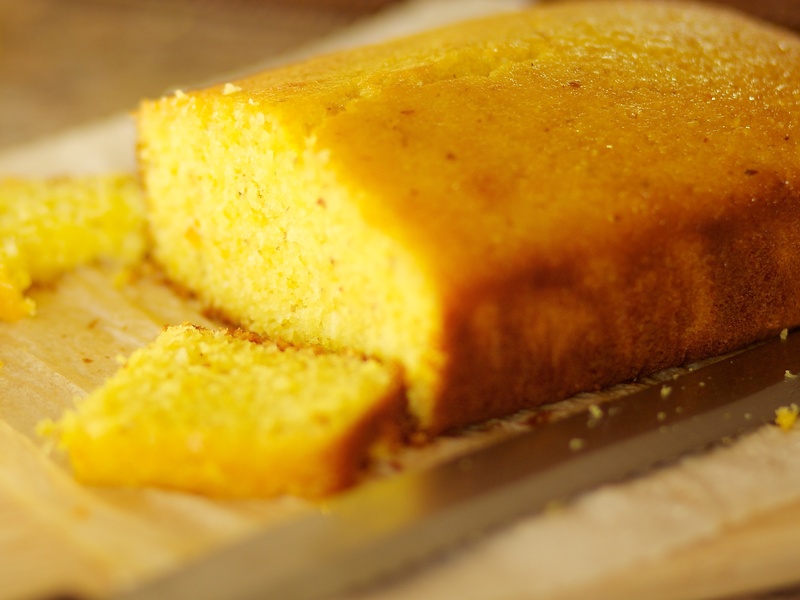 As soon as the cake comes out of the oven, brush it with the boiling syrup, making sure all the syrup soaks in. Leave the cake to cool down completely in a pan before you remove it. you can serve it as it is, garnished with orange zest strips, or store it for upto 3 days in an airtight container. If you wish to ice the cake, it is recommended to do it on the day which the cake will be served. Put the butter, chocolate and honey in a heatproof bowl and place over a saucepan of simmering water (make sure the bowl does not touch the water). Stir until everything is melted, then immediately remove from the heat and fold in the Cognac. Pour the icing over the cooled cake, allowing it to dribble naturally down the sides without covering the cake completely. 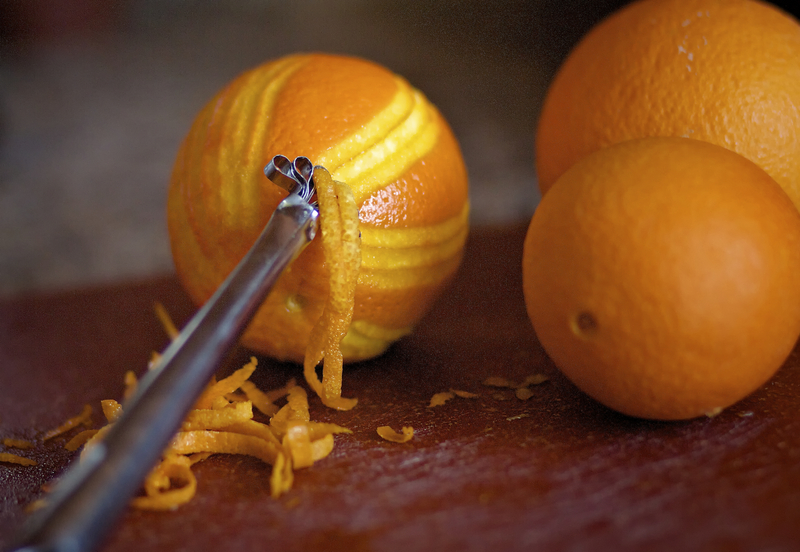 Let the icing set and garnish the center of the cake with the orange zest strips. 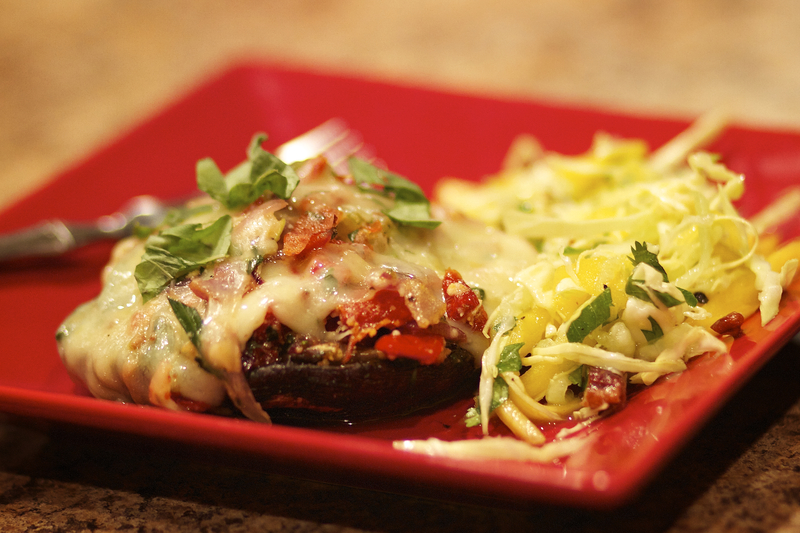 This is such a wonderful vegetarian dish and easy to prepare. This recipe calls for Taleggio, a mature cheese from Northern Italy. It has a strong aroma and it melts evenly and smoothly so it’s really is the best choice for this dish. If you can’t find this kind of cheese you can substitute Fontina or even Mozarella. Recipe adapted from my favorite chef and cookbook author Yotam Ottolenghi from London. 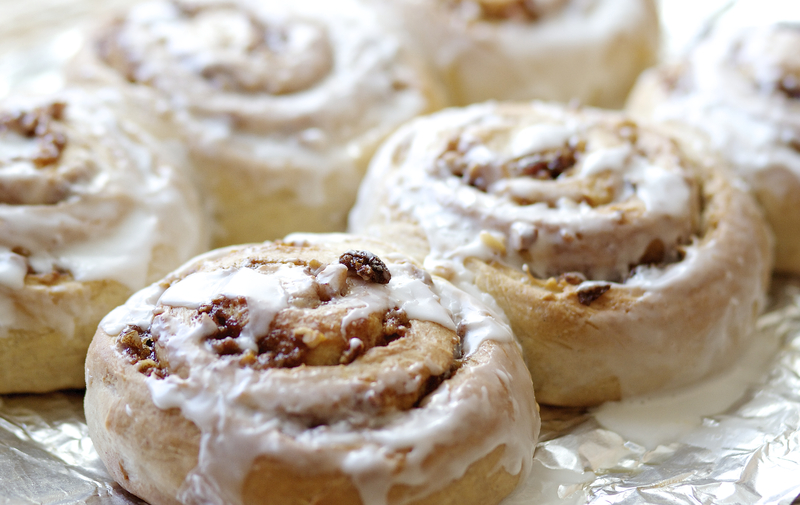 Preheat oven to 350 degrees F. Line baking sheet with foil or parchment paper. Place the mushrooms, stalk side up on the baking sheet and drizzle over a little oil and some salt and pepper. Roast for about 15 minutes in the oven until the mushrooms begin to soften. Meanwhile heat up 2 tbsp of the oil in a saute pan, add the onion, celery and cook in low heat for 5 to 10 minutes or until soft but not brown. Stir every few minutes. Add the sun-dried tomatoes and garlic and just cook for a few minutes. Remove from the heat and let it cool down. Once cool, add the Parmesan, tarragon and half of the basil to the mixture ans season with salt & pepper. If you are using Taleggio cheese, just add a little salt or skip on the salt, Taleggio is very salty.Pile up the filling into the whole mushrooms and top with the Taleggio slices. 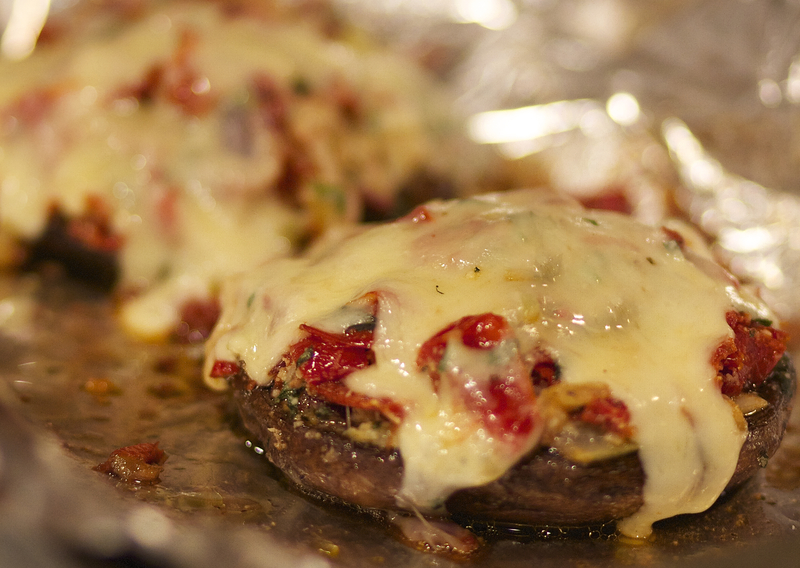 Return to the oven and cook for about 10 minutes or until the cheese melts and the mushrooms are tender. Transfer the mushrooms to a serving platter and drizzle with oil and garnish with the remaining basil and serve right away with your favorite green salad. Enjoy!!!! 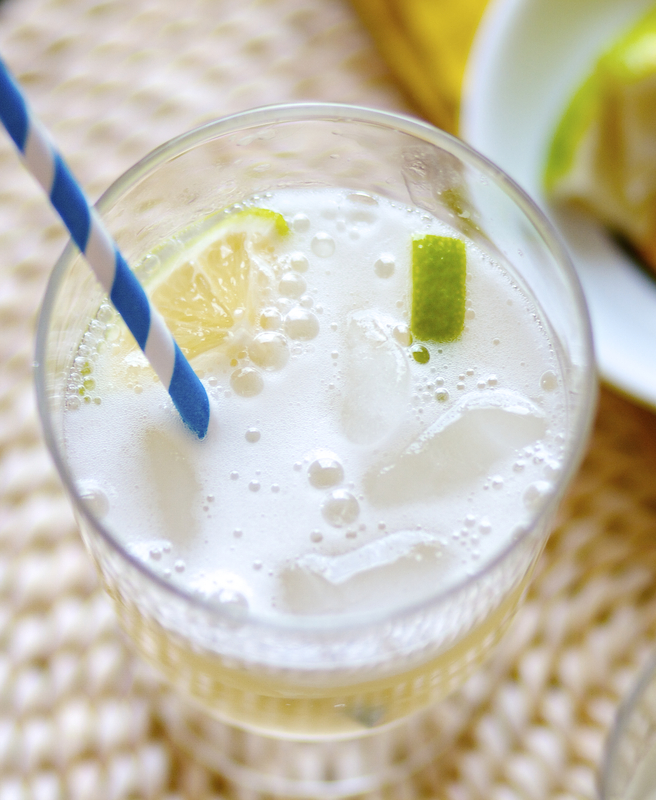 Unlike supermarket ginger ales, which are made with carbonated water, corn syrup, and ginger flavoring, this home-made ginger ale is made the old-fashioned way, with lots of fresh grated ginger, organic sugar and carbonated water. 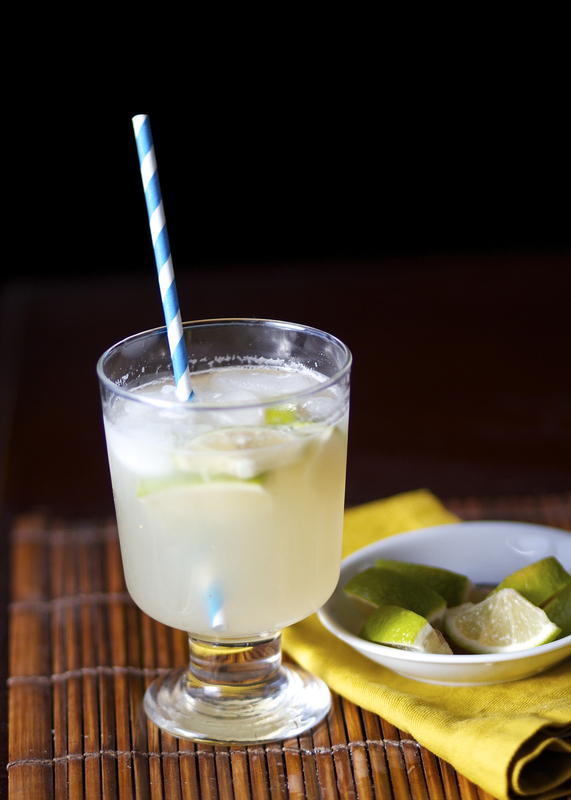 Place chopped ginger in a food processor (or blender in a pinch) and pulverize until well chopped. 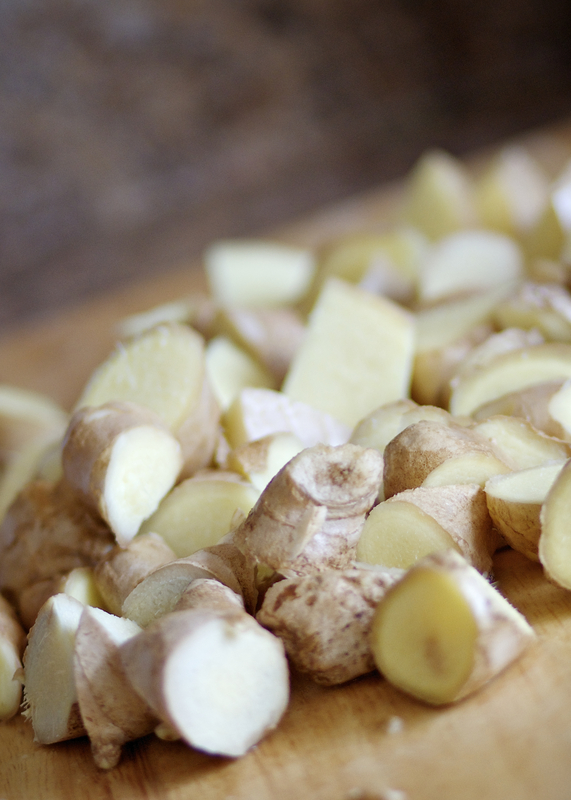 Place ginger, sugar, and water in a large stock pot. Bring to a boil, then reduce heat to a simmer and cook for 1 hour to 1 hour and a half, until the liquid has reduced down by more than half. You’re going from 6 cups of liquid to 2 cups. The boiling syrup will become glossy and silky as it cooks down and nears completion. 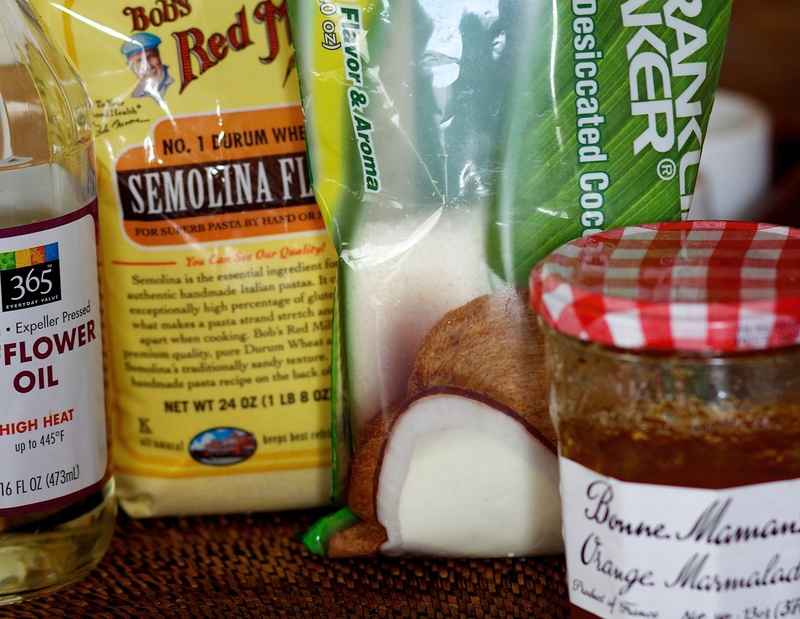 Remove syrup from the flame and strain twice through a cheese cloth, or fine mesh strainer, into a large bowl. Let syrup cool slightly before pouring into a bottle to store. Cool completely before incorporating into drinks. 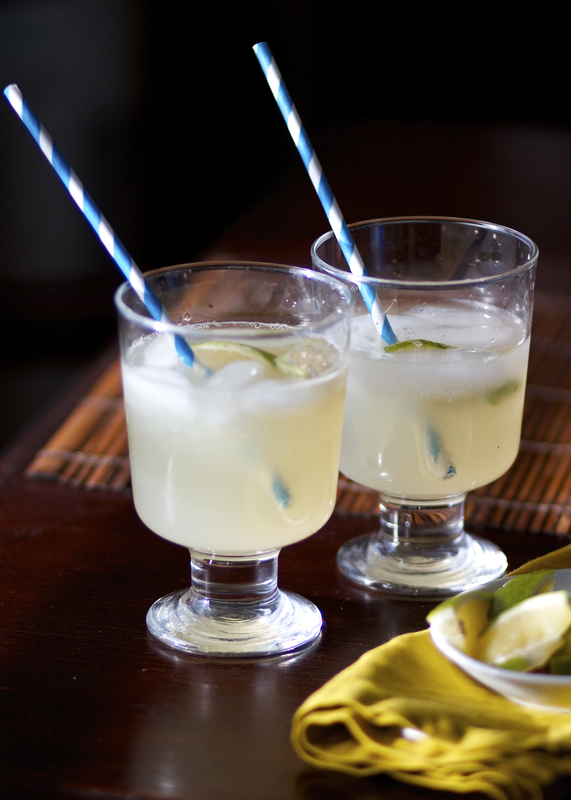 Combine all ingredients in a glass over ice. Stir with spoon to incorporate. Enjoy immediately. If you wanted to add bourbon… that would be delicious.